in an age of digital illustration, Andrew Davidson is a UK illustrator who uses some of the most traditional illustration techniques from previous centuries, wood engraving, color woodcuts and gouache painting. The result is a delightful blend of traditional and contemporary sensibilities. 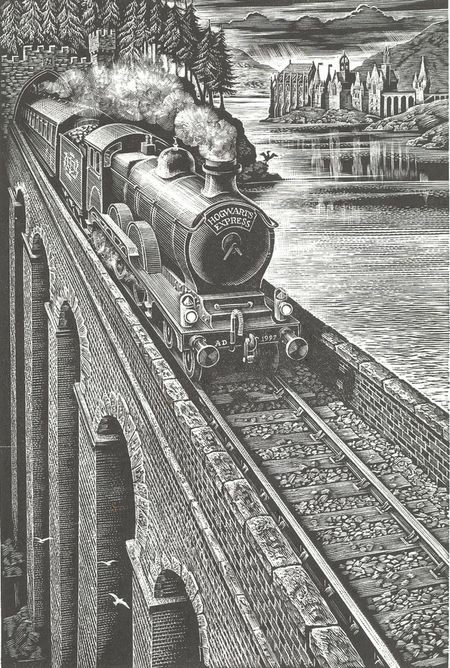 Some of his wood engravings, in particular, have a great feeling of illustration history, but applied to such modern titles as the Harry Potter series. There is a variety of illustrations in each of his mediums on Davidson’s website. You can find some larger reproductions on the sites of his artists’ representatives, The Artworks Illustration and Mendola Associates. There is also a brief video of Davidson on Vimeo, in which he discusses and demonstrates some of his process. 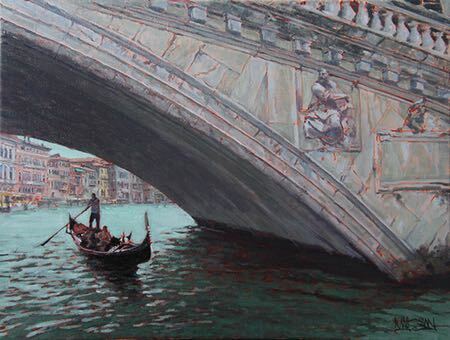 James Gurney has an uncanny ability to take on challenging painting subjects, and then make his methods clear and easy to understand in low cost, high quality instructional videos. In his newest video, Painting Animals from Life, he tackles the problems of painting animal subjects that move and change position, and shows how to successfully capture them while painting on location. I was delighted to receive a review copy and I found it to be a valuable addition to his continuing line of videos on painting outdoors, or “In the Wild”. 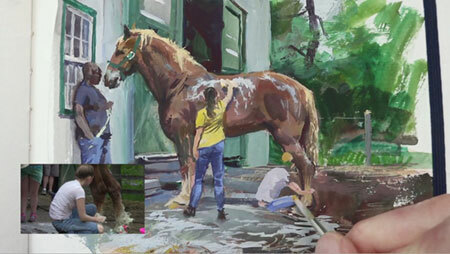 Unlike most of Gurney’s videos in his “in the Wild” series, in which he takes on five or six different subjects in the course of the video, Gurney has chosen in this case to slow down a bit and focus in depth on the creation of two paintings from initial sketch to finishing touches. The first is of a dog laying in the sun coming through glass doors into an interior, the second is of large Belgian draft horses being washed down outside a stable. There is also a “Bonus Tips” section toward the end, in which he gives quick tips on painting animals from life and features short sequences of work on several additional paintings. 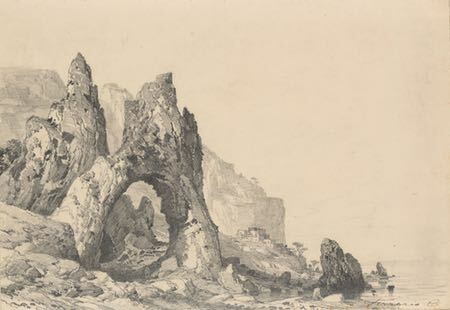 He is painting here in gouache, a long neglected medium of opaque watercolor which is experiencing something of a revival in recent years, in no small part due to Gurney’s championing of the medium and the abundant resources for gouache on his blog. Though he compresses time in places with time-lapse sequences, a good portion of the Painting Animals from Life video proceeds with real-time painting, in which you can see the use of the brush and the application of paint much better than in time-lapse videos. Interestingly, though he also use flats, Gurney appears to paint much of the paintings with a round brush, but often used with the bristles slightly flattened out into a shape a bit like a filbert. He also uses split-screen and picture in picture sequences to allow you to see the subject and the painting simultaneously, something that I find particularly useful in instructional painting videos. It’s fascinating and instructive to see the paintings proceed from initial sketch to that indistinct state of rough shapes and then through levels of refinement. 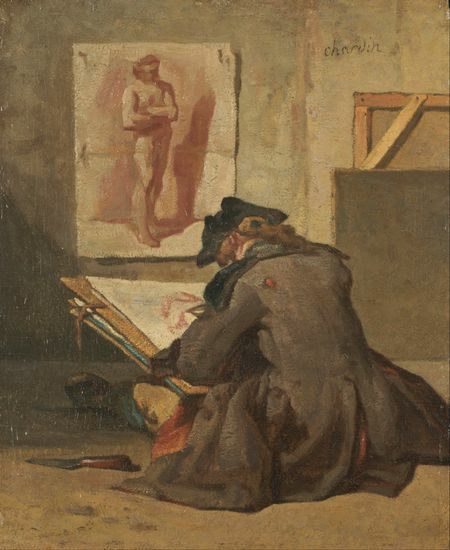 Unlike many instructional painting videos, in which the painter appears to masterfully know where every stroke will go without hesitation, Gurney lets us see a much more realistic process, in which even a highly experienced painter will search and experiment and correct in the process of finding a path to the final painting. Painting animals from life requires adjusting to their movements, painting in background elements when they move out of position and coming back to them when they return to a similar pose. In the process of painting the draft horses, he uses the similar poses of four horses to create a painting of one; he also deals with human figures and methods for capturing their ever changing movements in repeated or remembered positions. As is the case with most of Gurney’s videos, there is more to the process than just the subject in the title, and the painting methods apply to other kinds of subjects and to painting in gouache in general. He demonstrates, in several sequences, how the opacity of gouache allows for changes and revisions, as well as simply adding a figure or other shape directly on top of existing areas of the painting. He points out that it is a bit like sculpting — adding and subtracting — and allows the painter to work from foreground to background as well as background to foreground. There is a trailer for the video on YouTube. You will also find, in keeping with Gurney’s other videos, a wealth of supplementary information and related video shorts on his always interesting and informative blog, Gurney Journey. 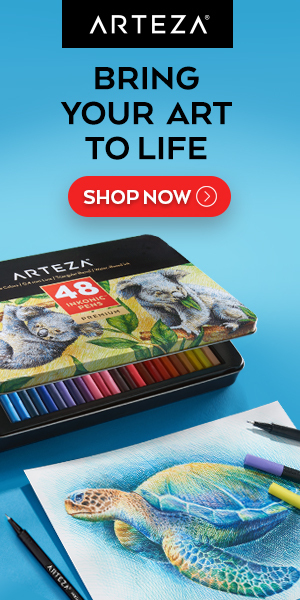 Painting Animals From Life is a 69 minute video, available either as a digital download for $14.95, or on a DVD for $24.50. See this page on Gurney Journey for information and links. Roughly 23 x 27 inches (58 x 69 cm), link is to zoomable version on Google Art Project, downloadable file on Wikimedia Commons; original is in the Centraal Museum, Utrecht. 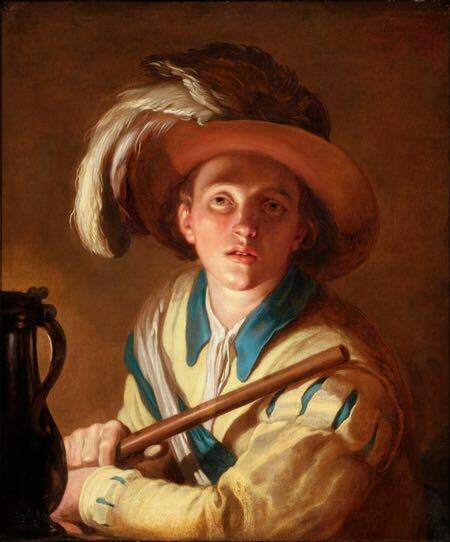 In a composition somewhat similar to those of his contemporary Georges de La Tour, 17th century Dutch painter Abraham Bloemaert has lit his subject by candle or lamplight that is hidden behind a foreground object — in this case a dark vesssel that also serves as a compositional element to hold the left edge of the image, and balance the darkness on the right. Both the dark object and the dark background serve as contrast to emphasize the illumination of the musician’s face, which has the added interest of being uplit. The highlights and shadows round the eye, the highlights and darks on the hat as well as the feather and light clothing against the background, form a series of concentric rings of light and dark, a target effect. This was not uncommon among Dutch paintings of the time, and can be seen in the work of Vermeer, among others.